Rwandan opposition leader, Victoire Ingabire, was unexpectedly freed from jail on Saturday after President Paul Kagame permitted her early release, alongside two thousand other prisoners. The surprise release of 2,140 prisoners, including Ingabire and musician Kizito Mihigo, followed a cabinet meeting on Friday at which a presidential order of “mercy” was approved. Ingabire returned from exile in the Netherlands intending to run for president in 2010 as leader of the FDU-Inkingi party. However, she was arrested, charged with terrorism and treason and sentenced in 2012 to 10 years in jail after a widely criticised trial. 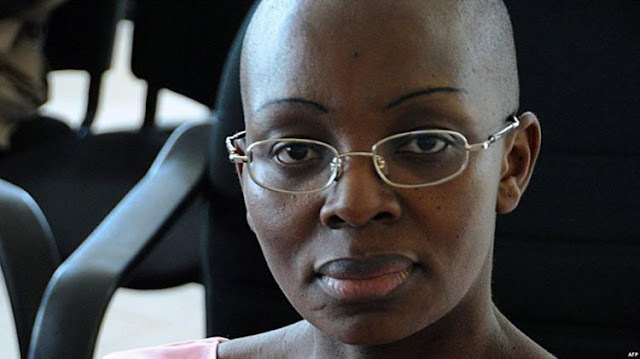 Ingabire, an ethnic Hutu, was accused of “genocide ideology” and “divisionism” after publicly questioning the government narrative of the 1994 genocide of mostly Tutsi people that killed around 800,000 people. Rwandan musician Mihigo was arrested in 2015 and jailed for 10 years for conspiring to assassinate the president. Kagame has been the country’s de facto ruler since his rebel army stopped the genocide in 1994 and recently changed the constitution clearing the way for him to rule until 2034.